MB Research Laboratories performs the Corrositex® test as a featured assay. For more information about MB Research and our other in vitro and alternative toxicology tests, see: www.mbresearch.com. Corrositex® is an in vitro method used to determine the dermal corrosive potential of and assign U.N. Packing Group classification for chemicals and chemical mixtures. Corrositex® has been designed as a replacement for the dermal corrosivity rabbit test based upon proprietary biomembrane and chemical detection technology developed by In Vitro International. This study is designed to comply with the standards set forth in the OECD Guideline for the Testing of Chemicals No. 435. Time Savings: Corrositex® testing can provide a Packing Group determination in a matter of minutes and no more than 4 hours, unlike animal testing which can take 2 - 4 weeks. Accuracy: More accurate than pH testing and is packing group specific. 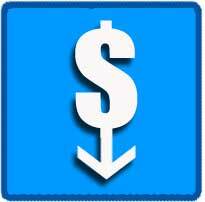 Cost Savings: Reduced shipping charges, additional cost savings workplace safety and MSDS development. Why Should I Have Corrositex Performed at MB? We worry about the details. Less Hassle and Effort on your part. Can I get a discount for having multiple products tested? Absolutely, we offer aggressive discounting for multiple tests performed at the same time. If my test material doesn't cause a change in color in the Corrositex® chemical detection fluid, what then? Chemicals are prescreened for compatibility with Corrositex® by directly applying the test chemical or chemical mixture to the detection fluid; if a color change is not induced, then the test chemical or chemical mixture does not qualify for testing with Corrositex®. Call MB Research, we can offer you more testing options. MB Research Labs performs in vivo and in vitro ocular irritation testing. Corrositex® is a non-animal alternative toxicology test. Although not a classical "in vitro " test, Corrositex® uses a synthetic membrane-based detection system to determine the UN packing group classification of chemicals, consumer products or other hazardous materials. The results, expressed as a break-through time, correlate well with rabbit dermal corrosivity tests. In the Corrositex® testing system, a glass vial filled with a chemical detection fluid is capped by a proprietary bio-barrier membrane, which is designed to mimic the effect of corrosives on living skin. Corrositex® measures the time required for a test article to pass through a hydrated collagen matrix and supporting filter membrane. As the corrosive sample passes through or destroys this bio-barrier, the underlying liquid Chemical Detection System changes color or texture. The time it takes for the sample to break through the membrane is recorded and compared to a classification chart to determine corrosivity/noncorrosivity for assignment of the proper U.N. Packing Group classification for U.S. DOT or EPA compliance. The following regulatory agencies accept Corrositex®. MB Research is an authorized Corrositex® testing laboratory. For Searching Corrositex Assay Test Results, you may purchase results from the Corrositex® Database provided by Invitro International. MB Research began utilizing Corrositex® in 1996 and has since developed and validated more alternative and in vitro toxicology assays. OptiSafe™ is a trademark and is used with the permission of Lebrun Labs.